Today is a very special and day for me. My husband and I are celebrating our second anniversary and I wanted to make a special franken polish just for him. He's always been wonderfully supportive and hardly even looks at me funny when I come home with new polishes and then spend hours playing with them. He'll probably also be thrilled to know that I'm sharing this with all of you (get prepared for some extreme cheesiness)- my nickname for him is Nugget because he's like a gold nugget and I got lucky enough to find him. That was my inspiration for this super gold shade. 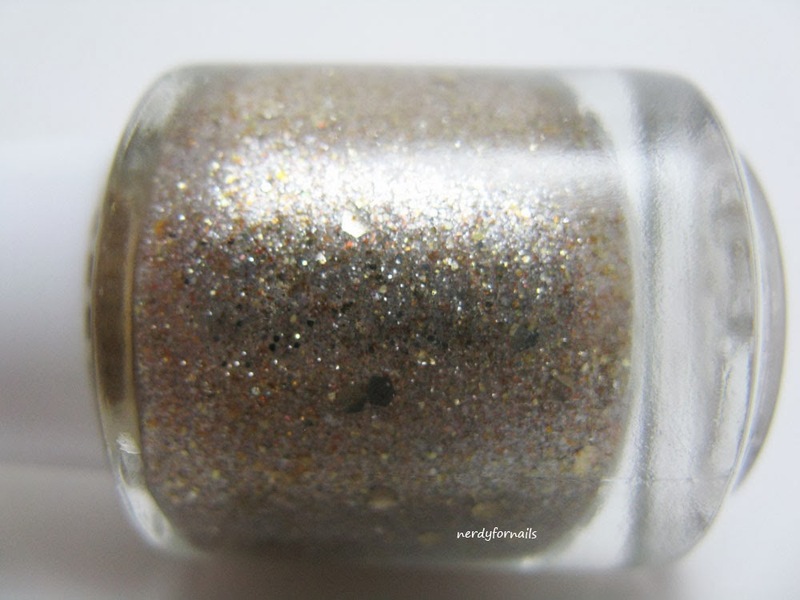 The macro really shows off those gold flakies and coppery flecks. The formula is a bit sheer. 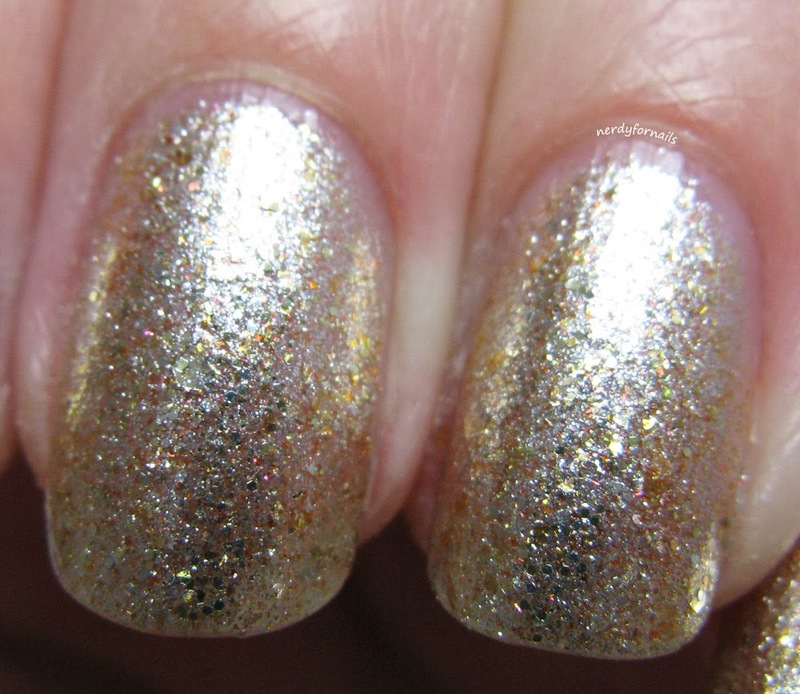 I've got on three coats here and you can still see a bit of nail line, but it's super shiny. I don't have on any top coat in these pictures and it still catches a ton of light. I think it's a great polish for a great occasion. Thank you! I love frankening so I thought it was the perfect occasion. Sorry I forgot your anniversary. Happiest of days!!! Thanks Liesl! 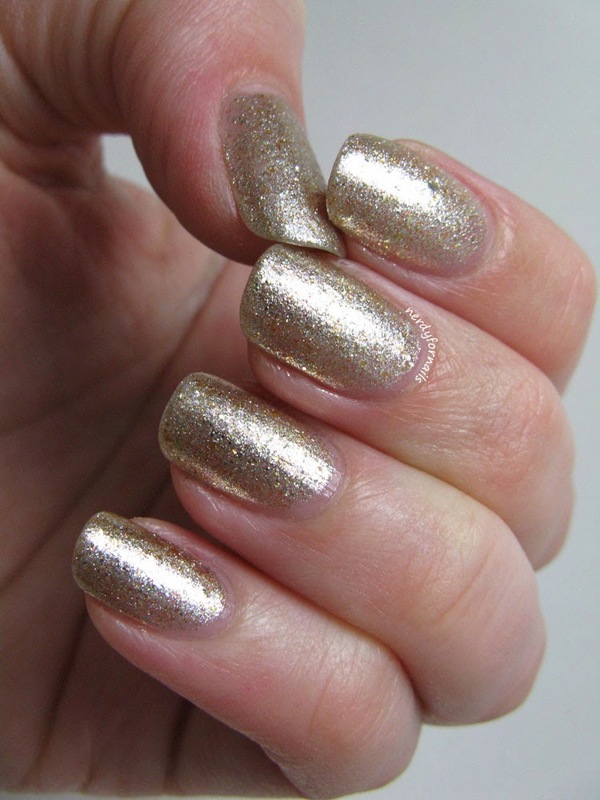 I just looked up swatches of Excalibur and that's quite a compliment. Their polish is gorgeous! It was a pretty big day. :) Thanks! Happy Anniversary! Very pretty nails.